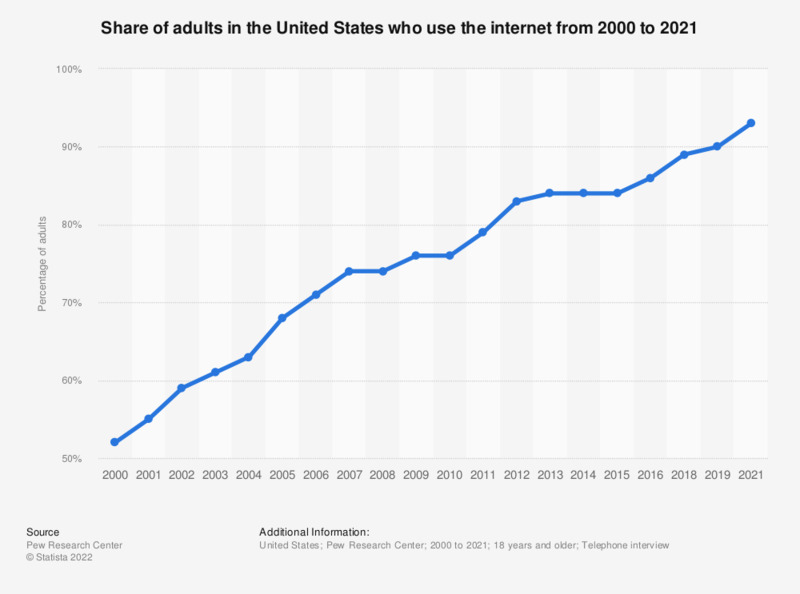 This statistic shows the percentage of adults who use the internet in the United States from 2000 and 2018. In 2018, 89 percent of U.S. adults were reported to use the internet at least occasionally, up from 76 percent in 2010. Earlier data from earlier publications. From April 2013 to the present, internet users are defined as someone who said “yes” to either “Do you use the internet or email, at least occasionally?” or “Do you access the internet on a cell phone, tablet or other mobile handheld device, at least occasionally?